After 15-hour of frantic effort, 13 units of fire service members doused the fire which broke out at Tropical Knitex factory in Chandra area under Kaliakoir upazila of the district early Saturday, causing a considerable damage. 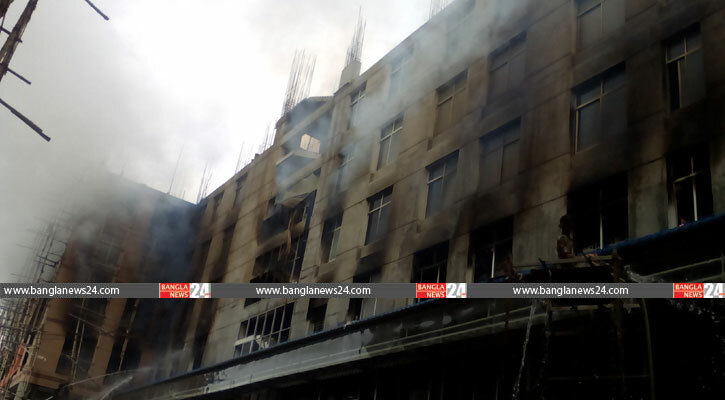 The fire fighter doused the fire around 1:00pm which ensued on the second floor of a five-storey building of Tropical Composite Factory of the ‘Mondal Group’ in the area at about 12:45am and soon spread to other floors. Fire service and local sources said fire broke out at the factory’s 3rd floor around 12:30am. Being informed, the fire fighters rushed to the spot and doused fire around 5:30am. But the fire once again spread in the morning, they added. No casualty was reported till the filing of the report and the loss was not estimated immediately.